Xiaomi Mi6 Release Date, Price, Mi 6 Specifications, Features: Xiaomi upcoming flagship phone Mi 6 is ready to hit the market. The news about the smartphone has already been rolling on the web. Mi 6 of Xiaomi is expected to launch at the MWC 2017 going to be held in Barcelona. 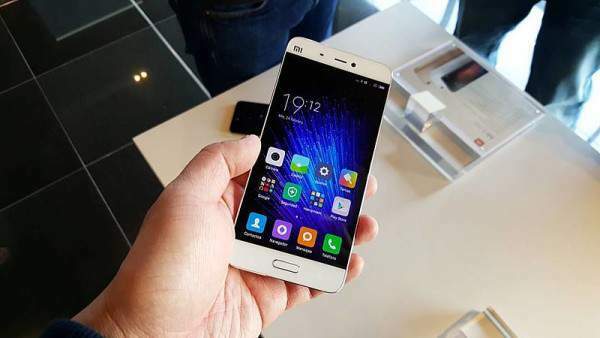 It is also said that Xiaomi may delay the launch of the device. There are some pics of Mi6 available here. Over the specs of Xiaomi Mi 6, the device features a 5.15 inches IPS LCD capacitive multi-touch touchscreen with a resolution of 1440 x 2560 with a great pixel density of about 570ppi. The display of the smartphone is protected by Corning Gorilla Glass 4. It also offers 3D Touch display. Mi 6 will come in three different models in terms of processor. Mi6 two models will run on Qualcomm MSM8998 Snapdragon 835 which is the fastest among all the processors available in the market today. The other model will feature a MediaTek Helio X30 processor. It has an octa-core processor (4 x 2.45 GHz Kryo and 4×1.9 GHz Kryo) coupled with Adreno 540. Mi 6 will come with Android OS Marshmallow v6.0 out of the box. Later, Android Nougat v7 update will be available to the users. There is a large internal memory of 128 GB and 256 GB variants in the smartphone. There is no external card slot in the phone which can expand the internal memory. The primary camera of the Mi6 is a dual camera of 12 megapixels each with Sony’s IMX362 sensor with an aperture of f/1.8 and dual-LED flash. On the front, there is a 4 megapixels camera which can record video at 1080p. Other connectivity options like 4G, WiFi 802.11, Bluetooth v5.0, GPS, NFC, USB Type-C 1.0 reversible converter are available on the device. Fingerprint sensor technology is also provided in the phone. There is an enormous non-removable Li-ion battery with a backup of 3000 mAh which helps to charge the device in minutes quickly. The device is available in different colors in the market. The colors available are- Silver, Grey, Gold and Rose Gold. Talking about the price of Mi6, the variant with MediaTek processor is expected to hit the market at CNY 1999 (about Rs. 19,800) and the other variant with Snapdragon 835 SoC is supposed to be priced at CNY 2499 (roughly about Rs. 24,800). With this much sufficient processor, it is expected that it will sport QuickCharge 4.0 that would give four hours of battery with just five minutes of charging. While the other model with the dual-edge curved display and Snapdragon 835 SoC is expected to be priced at CNY 2999 (approximately Rs. 29,800). It is also said that the device with a curved display will be tagged as Mi 6 Pro which will be a unique smartphone in the market in every aspect. It will be the premium version of Mi6 variants. 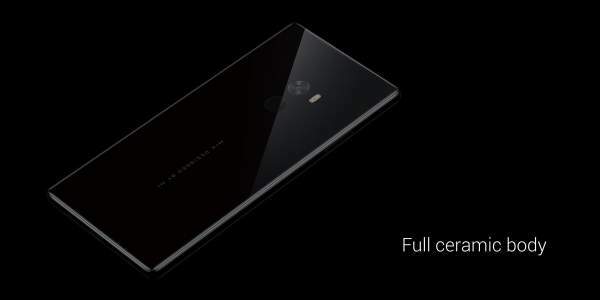 It is rumored to bear a ceramic body which will make the screen/display extremely scratch resistant just like Mi Mix. Thus, it means that there will be absolutely no damage to its exterior. However, more the scratch resistant, it will make the body more brittle. It doesn’t take much to destroy the beautifully crafted smartphone, Mi Mix. Hope you liked the article. Stay tuned for more updates.